The news of WTC Chandigarh launching in the hot bed location of Mohali has ushered to the peak by the real estate market players. Analytics and researchers have already been weighing how big will be the future prospects of one of the globes biggest trade and investment propellers World Trade Centers Association (WTCA) kissing the soil of Mohali. By WTC Chandigarh, Mohali has rightly earned a new global frame through which it can be viewed only as a gainful location. 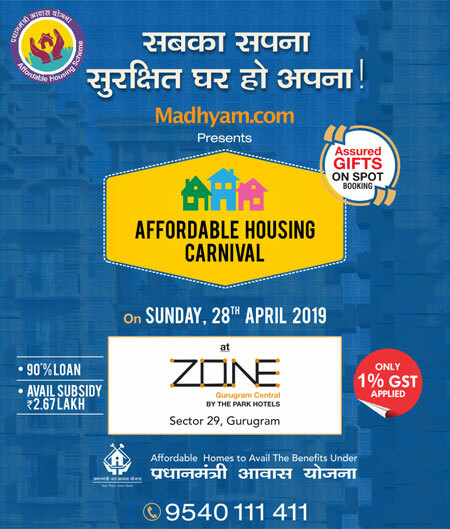 This eventful act from WTCA coming right after the inception of new international airport in Mohali rings bell for us towards a miraculous splurge in real estate activities. WTC Chandigarh has coloured the skyline of Chandigarh with humongous prospects. This propitious project will garnish Mohali and sprout new waves to the business sector in Chandigarh. Anchored close by Mohali airport, construction of WTC Chandigarh will be assisted by Indian real estate developer Viridian Red. The precious global brand will host integrated trade services under its capable roof. Every prudent investor can witness the power of investment with WTC Chandigarh. World class office spaces, splendid auditoriums, retail spaces, conference halls and whatever a commercial property should assist to be topped across the globe, World Trade Center Chandigarh has incorporated them. The ecosystem of WTCA which spreads across over 90 countries and accounting over 330 licensees across the globe can now be accessed effortlessly from Mohali, Chandigarh. The aim of WTCA in Mohali is to strive for the growth of Chandigarh through global connections, professional exchanges, events and business services. It is a stage for global companies or business personals to network with local business executives cater new fruitful partnerships and thereby expand their business empire. WTC’s always facilitates a win-win situation to which all are associated with them. The tri-city, Chandigarh holds great connectivity to Delhi, Punjab and Haryana. 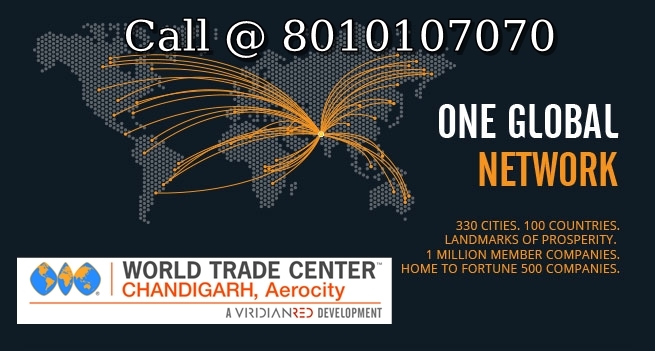 Having an airport in the closest vicinity will also attract healthy NRI footfall for WTC Chandigarh. What more do a planned investor need, when WTC Chandigarh promises 12 percent assured return? No more waiting for us to grow our investor portfolio beyond imaginations as WTC Chandigarh is ready for us like a golden paddy field all set for harvesting!